Brown turtle and ground meat in a 3 gal. Stock pot, stirring frequently. Drain Fat from browned meat through a colander and return to pot on medium heat. In a cheesecloth or coffee filter, place lemon wedges and bay leaves, and tie closed. Place the bundle in the pot with the meat. Add Stock (or water and bouillon), Sherry, onions, peppers, celery, Worcester sauce, Tabasco, lemon juice, tomatoes, thyme and basil and simmer for 30 minutes. Add tomato Paste and simmer 30 additional minutes. Bring to a low boil and slowly stir in roux. Continue stirring until soup thickens and lumps are dissolved. Add kitchen bouquet, and season to taste with salt and pepper. Makes 2.5 to 3 gallons of soup, but freezes well. Bring water to a boil in a medium saucepan. Add oysters and cook for 3 minutes. 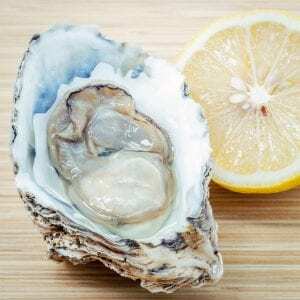 Remove oysters with a slotted spoon and reserve 3 cups of liquid. Set both aside. In a Dutch oven over medium heat, cook celery, green onions and onions in 1 tablespoon butter, stirring constantly until tender. Stir in 2 – ½ cups of the reserved liquid, garlic, thyme, red pepper and bay leaf; bring to a boil. Stir in the cream, reduce the heat and simmer for 5 minutes. Stir in the milk and return to a simmer. Melt the remaining ¼ cup butter in a small saucepan over low heat. Add the flour, stirring until smooth. Cook 1 minute, stirring constantly, then cook gently for 3 minutes more or until smooth (the mixture will be very thick). Gradually add the flour mixture to milk mixture, stirring with a wire whisk until blended. Add oysters, salt and white pepper. Cook until thoroughly heated. Remove from the heat, discard bay leaf and serve immediately.